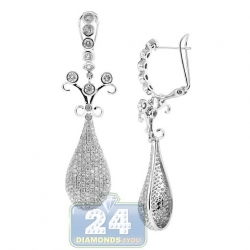 These diamond dangle earrings feature six diamond-studded discs design set in 14 karat white gold with high-polished finish. 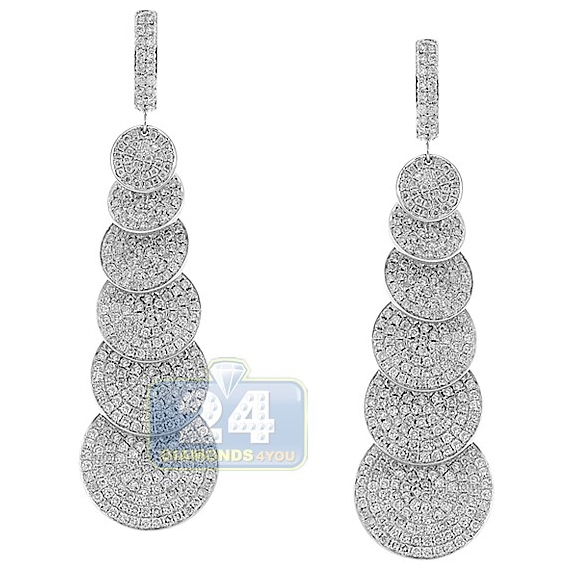 They're encrusted with 7.79 carats of icy white round brilliant-cut genuine diamonds, VS1-VS2 clarity, F-G color. Our women's drop earrings measure 70 mm in hanging length, and the width of circles varies from 9 to 20 mm. 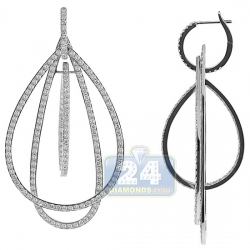 Breathtaking diamond dangling earrings present a stunning choice for special evenings out!